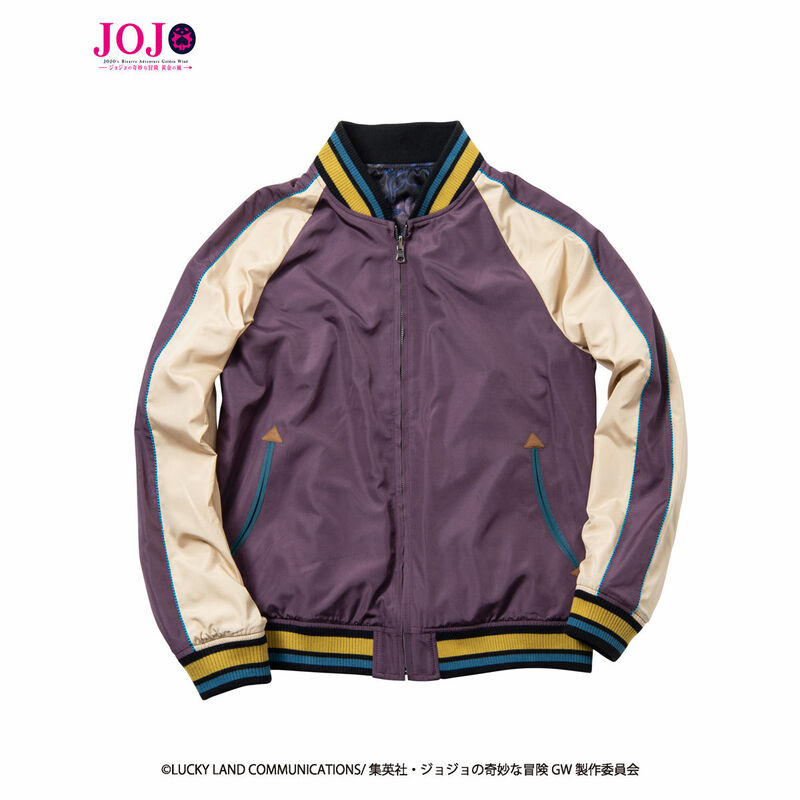 The collaboration made by the team up between JoJo’s Bizarre Adventures: Golden Wind and glamb! 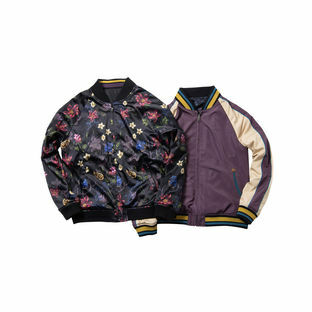 This is a reversible souvenir jacket. Size options include 5 sizes from (XS) to (XL). Inspired by Stand User Giorno Giovanna, this reversible souvenir jacket was made with the concept of the unconventional in mind, and is ready for delivery at any time. 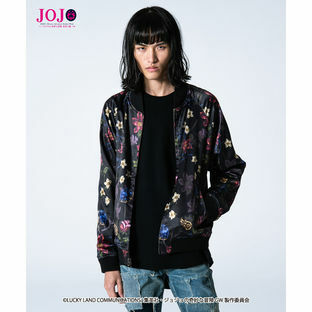 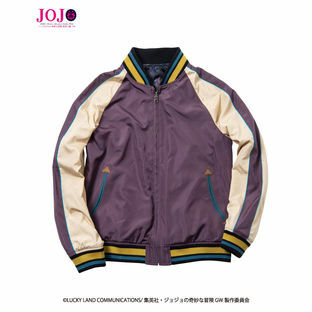 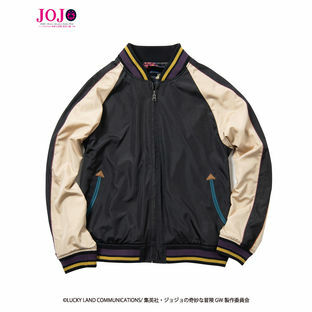 The outside of the jacket is decorated with authentic details that express Giorno himself, such as sleeves and cuffs with multicolored ribs, piping, and double piped pockets. The purple color of this jacket, the same as the color of the suit Giorno wore in the original work, and the blue ladybug brooch both work together to express Giorno’s characteristics. 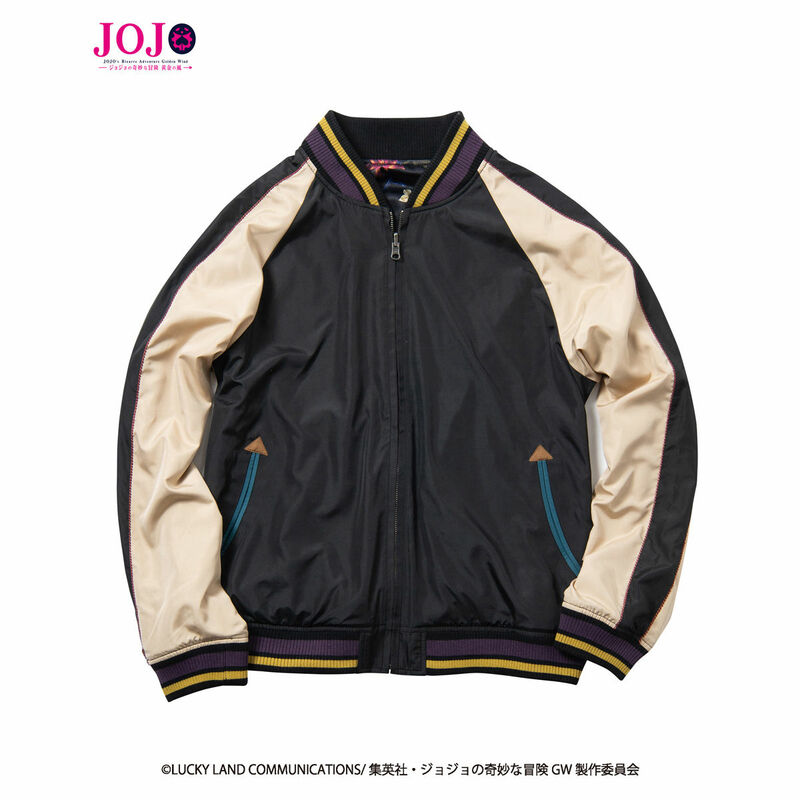 On the other hand, the inside is covered with a vivid black pattern that covers the entire portion and symbolizes his Stand, Golden Wind. 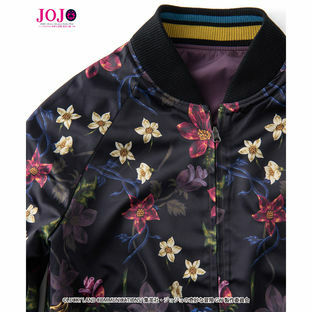 This motif was weaved in combination with a decorative flower patterns in an art style that resembles Art Nouveau and vintage Hawaiian shirt patterns, which brings elegant, robust elements to the jacket. 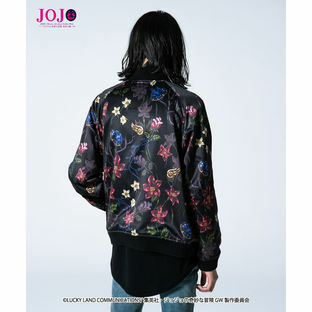 The liner is not padded, giving the jacket an adult silhouette. Front or back, it's up to you; choose whichever side you want, depending on how you feel each day.